Law Firms in Nigeria - Law Firm in Nigeria - Lawyers in Nigeria. Lex Artifex LLP is a full-service law firm in Nigeria that provides legal representation for business people in trade and investment matters covering legal due diligence, company registration, shipping and maritime services, industrial designs, patents and trademarks filings, customs certifications, debt recovery, expat and immigration services, and company secretarial services. Lex Artifex Law Firm is a window for offshore investors looking to locate in Nigeria and the one-stop shop for companies seeking business expansion and licensing in Nigeria. Lex Artifex LLP helps clients navigate the legal, tax and regulatory considerations for doing business in Nigeria. Lex Artifex LLP’s people are accredited lawyers in Nigeria. They bring clients the best legal solutions in all processes, and provide top-tier, timely and cost-efficient legal services in Nigeria, enabling clients avoid legal liabilities and business risks. They are smart, hardworking and urbane people with detailed knowledge of Nigerian business laws and international commercial law. Business Advisory: The firm’s Trade & Investment Advisory Group represents local and international clients in a broad spectrum of corporate and commercial law covering issues relating to company formation in Nigeria, joint ventures, licensing, taxation, immigration, due diligence, regulatory compliance, private equity funding, debt financing, intellectual property filing and enforcement, customs, foreign exchange, international trade and foreign direct investments. 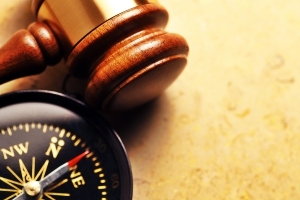 Shipping and Maritime Law: The firm is a leading shipping and maritime law firm in Nigeria. Its shipping and maritime lawyers in Nigeria focus on transactional and litigation matters for clients across the maritime industry including: shippers, carriers, ship owners, stevedores, energy companies, cruise lines, non-vessel-operating common carriers, salvage companies, shipyards, and insurers. Intellectual Property Law: Lex Artifex LLP specializes in the commercialization of intellectual property and enforcement of intellectual property rights in Nigeria. The firm also provides clients with services in filing trademark, patent and industrial design applications; and the documentation of IP assets. Real Estate and Property Law: Lex Artifex LLP’s real estate lawyers in Nigeria provide services in structured transactions ranging from negotiating and drafting of real estate and personal property leases; acquisition, sale or financing of real estate developments; restructuring financial and mortgage obligations; review, analysis and resolution of title issues; recovery of secured or unsecured assets; and ensuring regulatory compliance in real estate matters. Immigration Law: Lex Artifex LLP’s lawyers are specialists in Nigerian business immigration services. 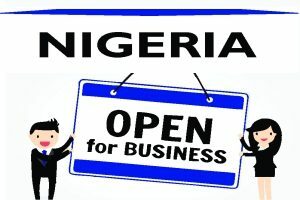 The firm’s immigration law practice covers procurement of Business Permit for companies wholly owned by foreign investors; Expatriate Quota for companies in need of expats; Residency Card for ECOWAS citizens living in Nigeria; and Combined Expatriate Residence Permit and Allied Card (CERPAC) for non-ECOWAS citizens’ who wish to live and carry on business in Nigeria. They are immigration lawyers in Nigeria and advise clients on Nigerian immigration requirements for setting up and doing business in Nigeria. Tax Law: The firm’s people are tax lawyers in Nigeria and provide a broad range of legal advisory for both local and foreign clients on a wide range of matters including corporate tax, personal tax, value added tax, capital gain tax, withholding tax, custom and excise tax and petroleum profit tax. The firm’s tax practice cover advisory on private equity investments, project finance, JVs, expatriate employees, real estate and intellectual property transactions. Inheritance Law: Lex Artifex LLP provides estate planning, succession, and probate execution processes for clients. The firm has specialist solicitors in the field of drafting of Wills, Living Trusts, Irrevocable Trusts, Power of Attorneys, Health Care Directives, etc. The firm leverages its specialized knowledge and experience to advise clients and act as trustees and executors of clients’ estate after probate. Dispute Resolution: Lex Artifex LLP adopts cost-effective and efficient mechanisms at resolving clients’ issues arising out of intricate and complex business transactions. Lex Artifex LLP litigators are talented in managing issues arising from contracts, credit transactions, taxation, environmental issues, negligence, real estate,labour and employment, land, corporate restructuring claims, competition, company dissolution, receiverships, debt recovery, class action litigation, government enforcement, white-collar crimes and immigration issues. To learn more about Lex Artifex LLP, please visit their website at http://www.lexartifexllp.com; email: lexartifexllp@lexartifexllp.com or call +234.803.979.5959. The lawyers are proficient in the English language and work with non-English speaking clients through language translators.